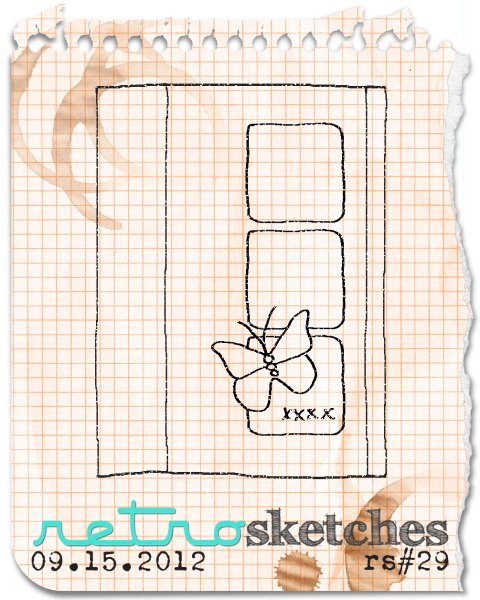 It's time for a new RetroSketches sketch. 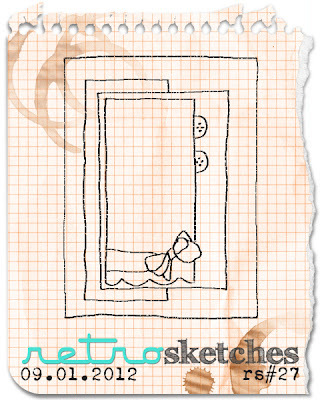 This week's sketch comes to us by the lovely Mia. You can see her fabulously festive original card here. I absolutely LOVE this sketch. I can see myself using this one a LOT!! Again, because I have soooooo many new boys coming into my life, I have selected to make yet another baby boy card!! 1 born, 4 to go!! So excited about my new nephew, and of course he's just gorgeous!! This sketch is just so easy to work with. The patterned paper is one I recently picked up from the sale rack at my LSS, Snips & Snails by Doodlebug. 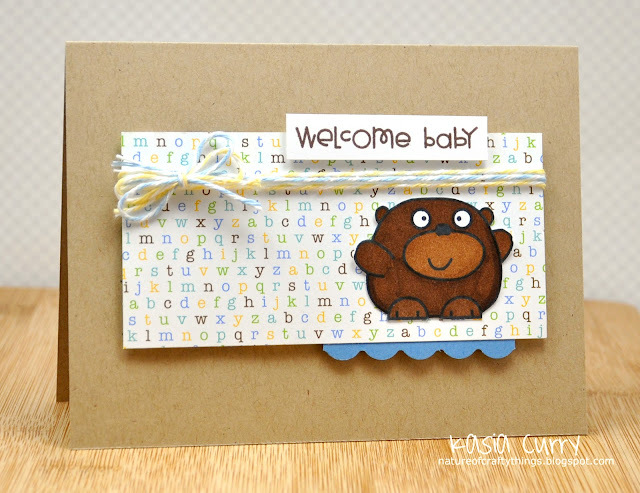 The adorable little bear is from the Chubby Chums set by Paper Smooches, and the sentiment is from their A Little Lovin set. 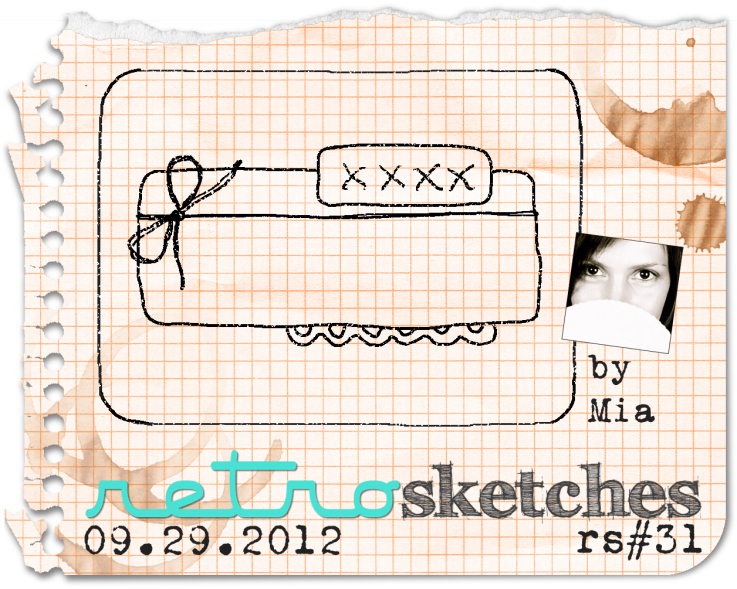 Go on, go see what Arielle, Laurie and Mia have done with this fabulous sketch over at the RetroSketches blog. You have until Friday October 5th (yikes, already!!) to play along. 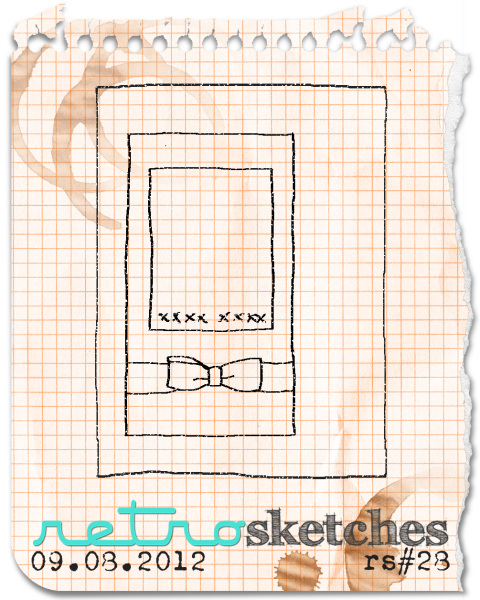 RetroSketches we have done!! Arielle is amazing isn't she? It's been over 6 months. You can check out the original here (it's the awesome one with the bikes at the bottom), as well as some other examples of her lovely work. I, again, went with a super simple approach! I recently picked up this fabulous paper, by Crate Paper, at my LSS and just had to use it. 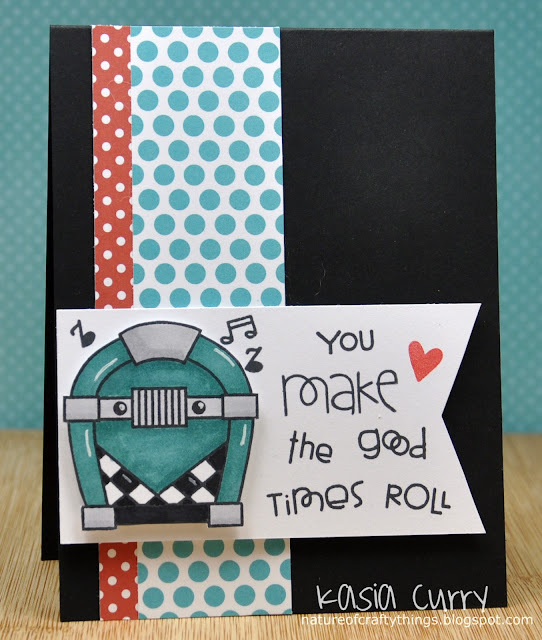 I thought it paired nicely with this simple Paper Smooches sentiment. I can't wait to see what you all come up with using this very versatile sketch. You have until midnight, Friday September 28th to link up. 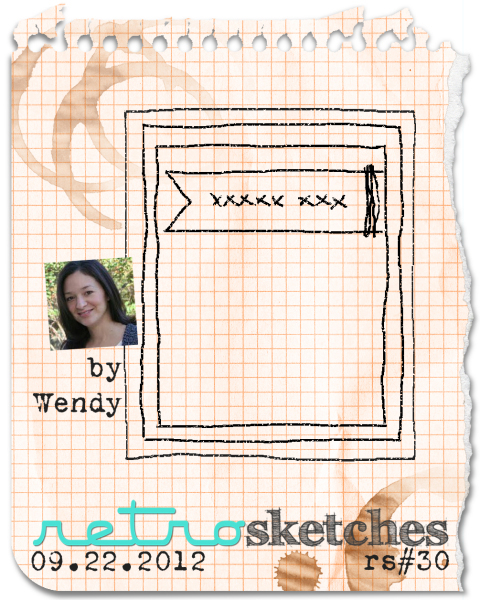 Don't forget to hop on over to the RetroSketches blog to check out what Arielle, Laurie and Wendy have made. I'm excited today for 2 reasons! First because it's my last shift before my "weekend"
because I get to share a new Paper Smooches Sparks challenge with you. This week, we have a Cool Shades colour challenge. 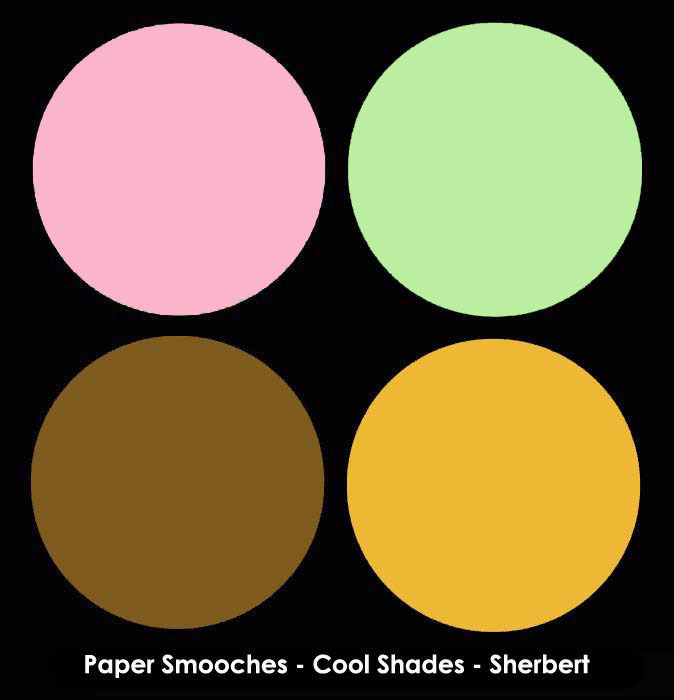 I was looking through my digital paper stash and found this perfect paper. Except it had black lines instead of brown, so I altered the black lines in photoshop to make them brown. Problem solved!! This one was so much fun to make. The paper and the adorable images just make me so happy. I used the newly released "Hullabaloo" set and an older set called "Yummers". Pop on over to the Paper Smooches Sparks blog to check out all of the details on how you can win a $30 store credit. Wouldn't that be FABULOUS??!! Also stop by the rest of my group's blogs to check out their amazing creations. No excuses, I know, but it has been a crazy few days!! 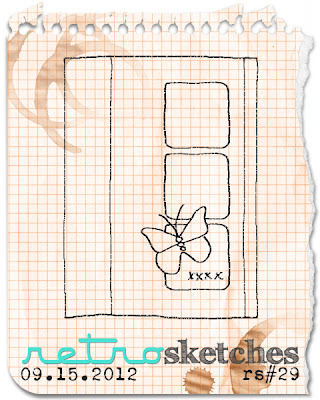 So of course, in typical Kasia fashion, I forgot to post my RetroSketches card!! 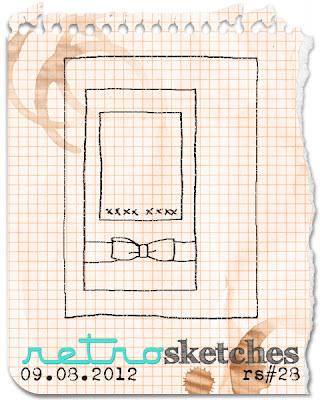 Well, this week our sketch is based on a card by our very own Laurie. You can see her absolutely GORGEOUS original here. I adore the woodgrain in her card so I had to carry it through to mine. 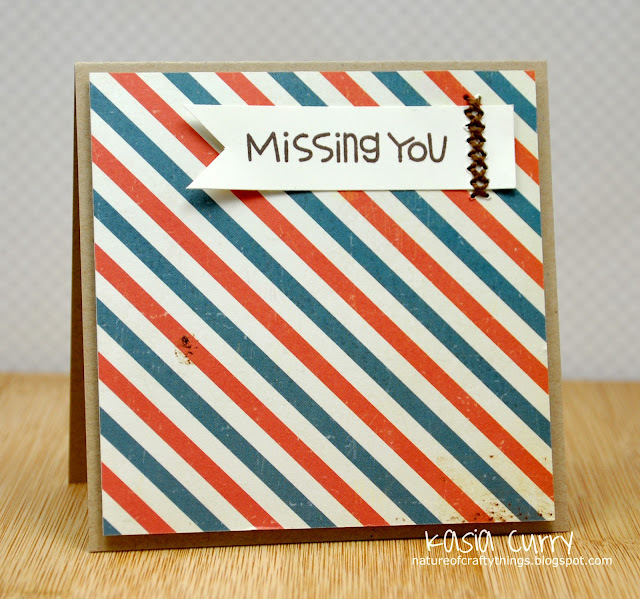 The patterned paper is from a 6x6 pad I just picked up by Basic Grey called Paper Cottage. 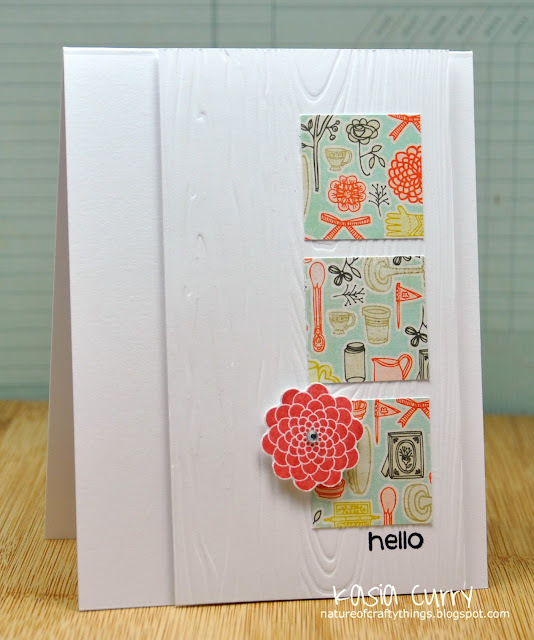 The flower is a stamp from the PTI set, Beautiful Blooms II, and the sentiment is Paper Smooches. 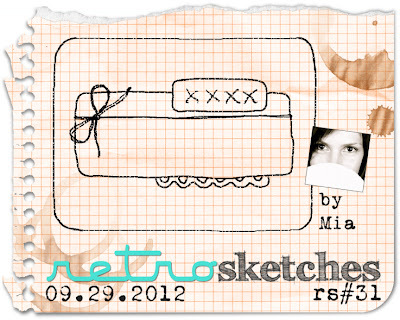 Don't forget to hop on over to the RetroSketches blog to see what the other girls have created just for you. And remember you have until Thursday Sept 20th @ midnight to play along. I promise to tell more of the story from the last couple of days later. I have some pics as well!! a couple of pics and an old"ish" card! But first I want to share a quick pick of our new grass!! The tiny little smidge of a tree is an Ornamental Crabapple. We got it so that it wouldn't bear fruit that Stella would be tempted to eat. It blooms in the spring with these gorgeous pink blossoms. Of course I had to add a picture of my gorgeous dog!! She hates getting her picture taken, my hubby distracted her with treats while I snapped this super fast. The cards I submitted were all for the Guy valentine category. I had so much fun, I think I created 5 cards for that category alone!! I sort of CASed the idea from a previous card I made here. I have so many ideas using that same sort of phrase!! Well that's my story for today! I'm so excited it's the weekend! And super excited because we are finally getting grass. This is the second summer we have been in our house and I am sick & tired of pulling weeds to just have them come back stronger and bigger. We have ordered a few pallets of sod and have plans to lay it down today. Our house, hopefully, won't look so ghetto when we are done!! Being Saturday also means a new RetroSketch challenge is up. This week's is based on a VERY old card of mine! Well, four that I know of!! So I have been trying to take as many opportunities as I can to make their cards. For this one I have used the Phraseology background set by TAWS, for the "word search". I love this background, there are a ton of words in it which equals so many options! I simply used a copic to highlight the "welcome". 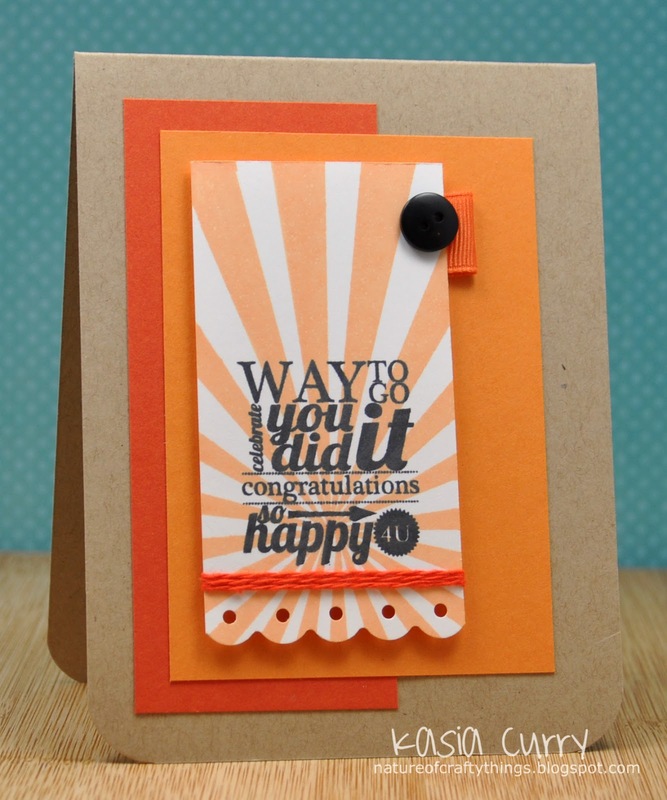 I also used the Pip Squeaks set by Paper Smooches for the stork and babe. Please stop on over to the RetroSketches blog to oogle what Arielle, laurie and our fabulous headliner Wendy have to share with you. You have until Thursday September 13th to link up your own lovely creation. Paper Smooches Sparks Trend Watch Challenge with you. 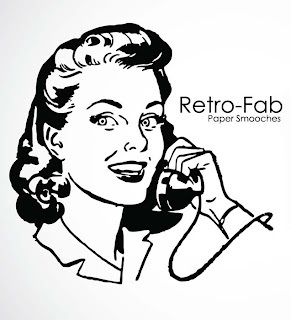 This week's challenge is RETRO FAB!! When I saw this challenge I immediately went for my jukebox image. The Perpetual Bliss set has to be one of my favourites. The diner and all that comes with it has always been an obsession of mine. And Grease was a movie that my Mom and I rented A LOT!! where Frankie Avalon sings to her about dropping out of beauty school!! So that's where I went with it. I used Perpetual Bliss and Alphadots to create this card. 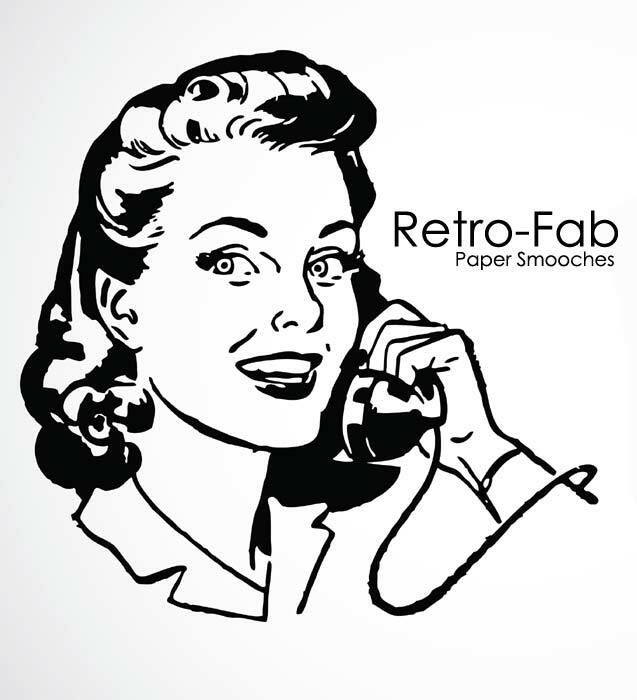 The papers I downloaded and purchased from Design House Digital, Rockabilly paper pack by Audrey Neal. I can't wait to see what you guys come up with using this fabulous trend as inspiration. Don't forget to stop by the rest of the DT's blogs and leave them some love. 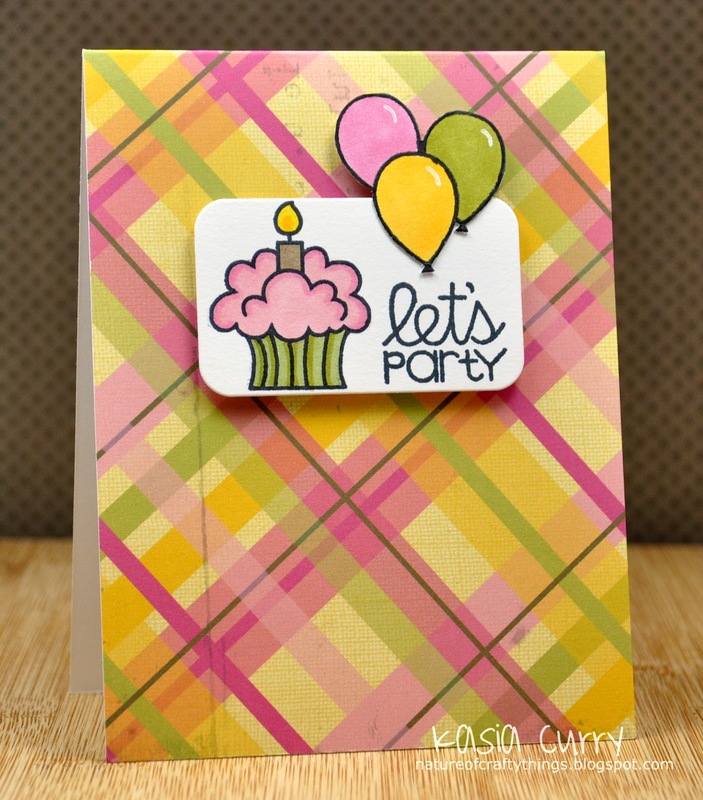 Head on over to the Paper Smooches Sparks blog to check out all of the details. This week went by super fast because I had family visiting me from Ontario. My uncle decided recently that he would come down for a quick visit, which was great since he hadn't been down since my wedding over 3 years ago. Needless to say though, I didn't accomplish very much in the meantime. I do get to share another wonderful RetroSketch with you today, brought to you by the ever-amazing Arielle. You can see her original and absolutely adorable card here. 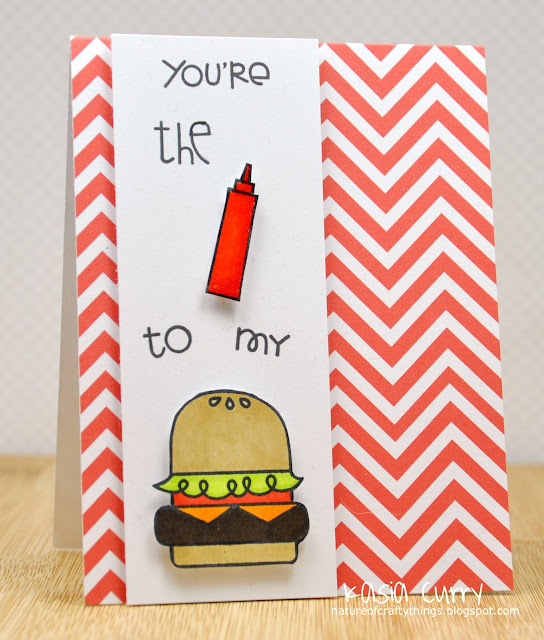 My card today features some yummy cardstock and fabulous stamps made by Avery Elle stamp co. I used their kraft, fizz, papaya and pure white cardstocks, as well as their bright days and framed fonts stamp sets. They carry ribbon matching all of their cardstock also! Don't forget to head on over to the RetroSketches blog to check out what Arielle, Laurie and this month's headliner, Wendy Frederick, have designed for your inspiration. You have until Thursday September 6th at midnight to play along.